Why Piepho Moving & Storage? We are an Allied Van Lines agent with a great fleet of trucks, efficient and friendly movers, safe drivers, and all the licensing, bonding, and insurance that you could ask for. But, there's much more to Piepho Moving & Storage. Find out why our customers rate us so highly. Protect your back and your wallet. Piepho Moving & Storage is your professional local moving company. We do the heavy lifting at an affordable price. 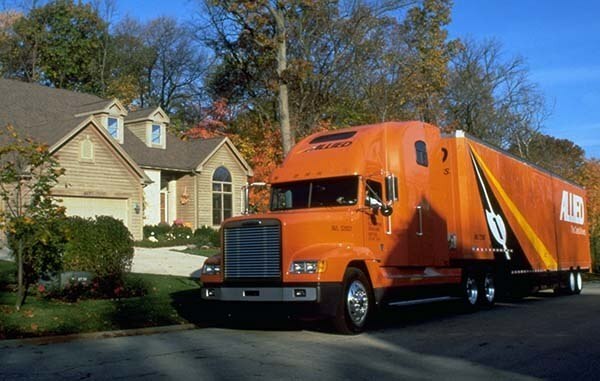 Our experienced long distance moving team keeps your belongings safe and your stress levels low. An Allied Van Lines Agent, we go everywhere. Military-grade safety and security means peace of mind for you. Affordability that means our prices are competitive with mini-storage rates, offering many more benefits. With our superior and thorough service, we keep your employees’ productivity high throughout the entire relocation process. Your problems solved. With Piepho Moving & Storage receiving, storing, delivering, and installing, we can reduce hassle and help you save time and money. Room for your excess inventory or records. 100,000 square feet of secure, climate controlled, sprinkled storage space in MN and WI. Protect your back and your wallet. Moving across the street or across town, Piepho Moving does the heavy lifting at an affordable price. We have been in it for the long-haul. Our experienced team keeps your belongings safe and your stress levels low. As a family business, we take our customers' needs and satisfaction very personally, with unwavering focus on customer care. As an Allied Van Lines agent we are your local moving company that has the reach to move you anywhere in the United States or around the world. Our relocation experts allow your employees to stay productive, while we focus on all their moving needs. Our dedicated account coordinators keep moving stress low, while packers and movers keep your employees’ belongings safe and secure. Piepho Moving & Storage are your UW moving experts. With over 600 University of Wisconsin moves, we have the experience needed to move you on your schedule, safely, and on-time. Whether you need basic local moving or complex long distance moving services as your Allied Van Lines agent, we can move you there. We are an Allied Van Lines agent with a great fleet of trucks, efficient and friendly movers, moving tips, safe drivers, and all the licensing, bonding, and insurance that you could ask for. But, there's much more to Piepho Moving & Storage. Find out why our customers rate us so highly. ...Or Let Us Know About Your Moving Experience With Us!